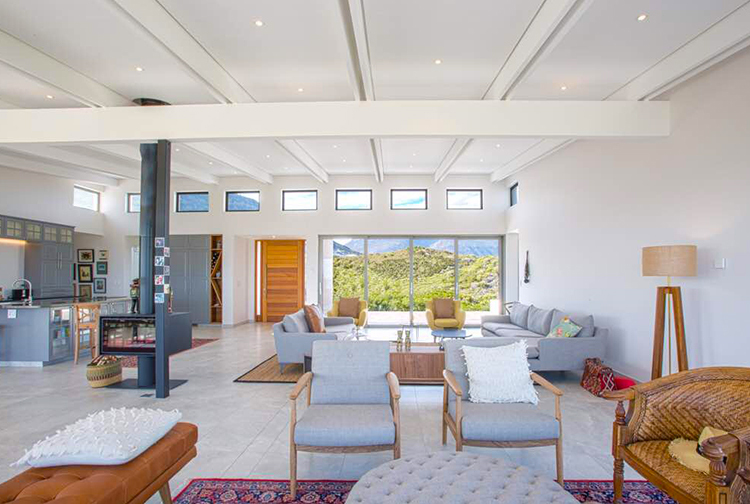 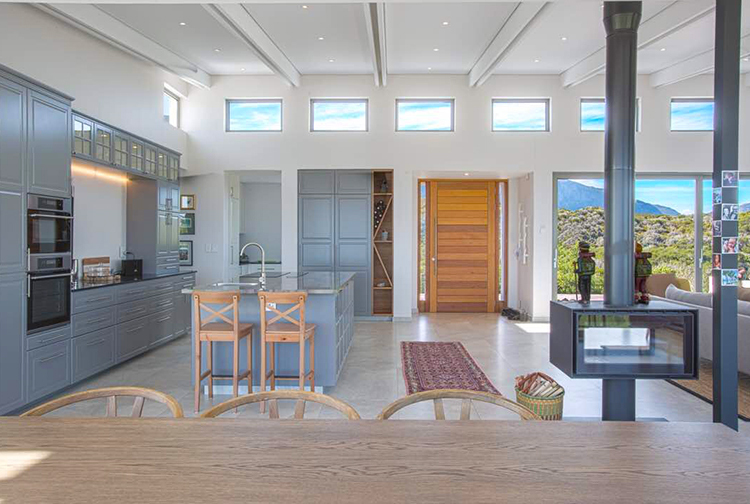 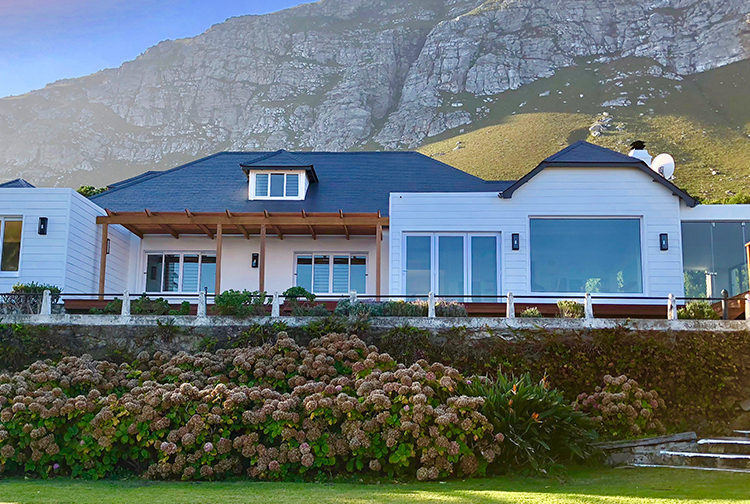 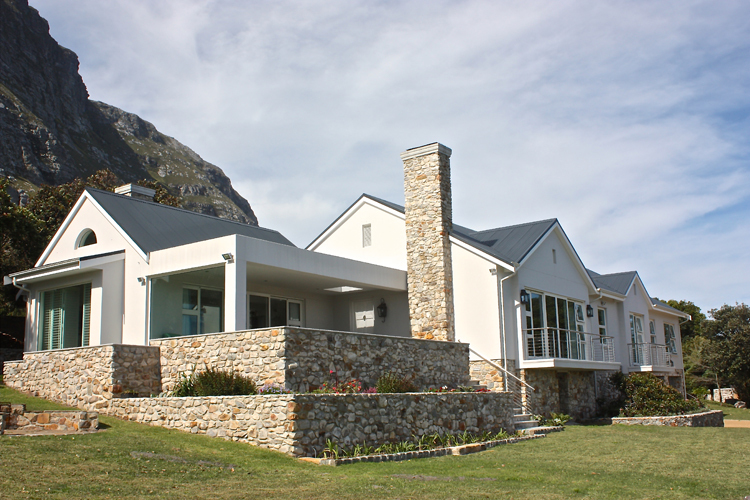 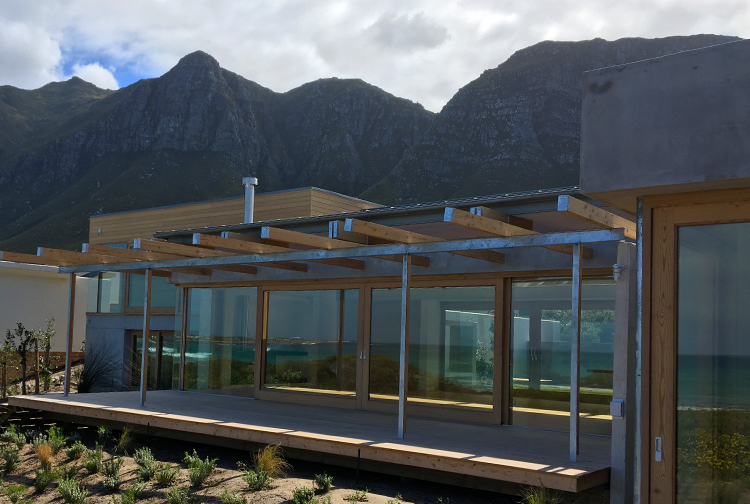 Quali-projects are a professional construction company based in Pringle Bay (which is situated in the heart of the scenic Kogelberg Biosphere reserve). 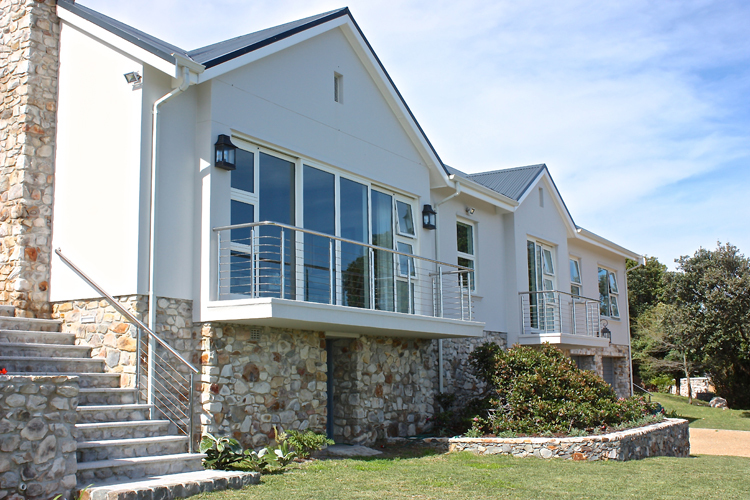 We have been operating successfully since 1999, and specialize in up-market residential new builds, alterations and renovation projects. 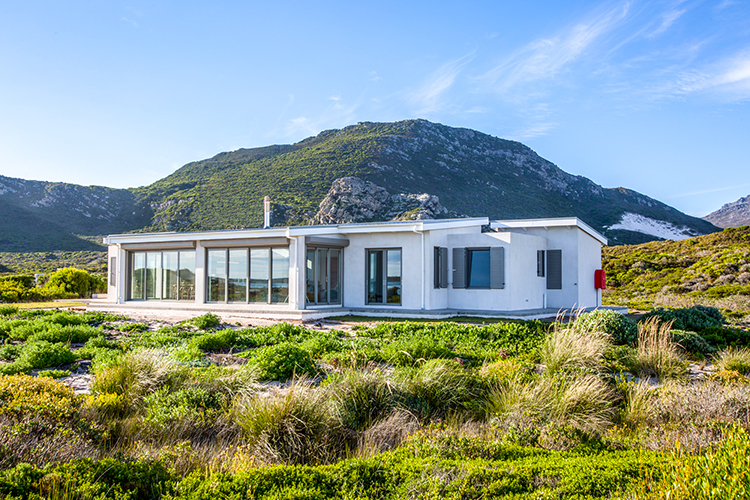 A major renovation of this seafront home where the architect maximized on the 360 degree sea and mountain views. 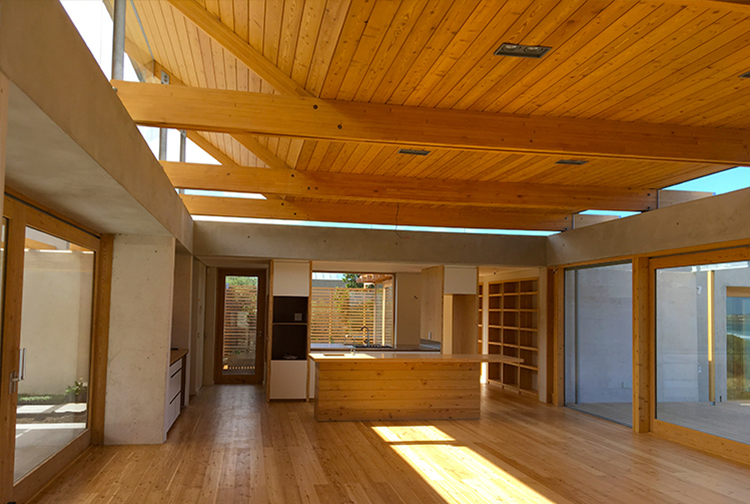 His design included large expanses of glazing, with featured off-shutter concrete elements, and interesting Larch timber details. 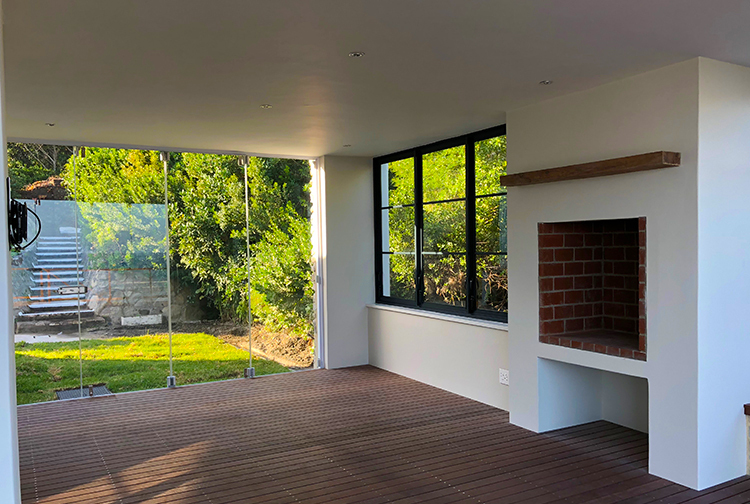 With Qual-Projects I experienced a building contractor with strong values based on integrity and service with a commitment to superb craftsmanship and attention to detail. 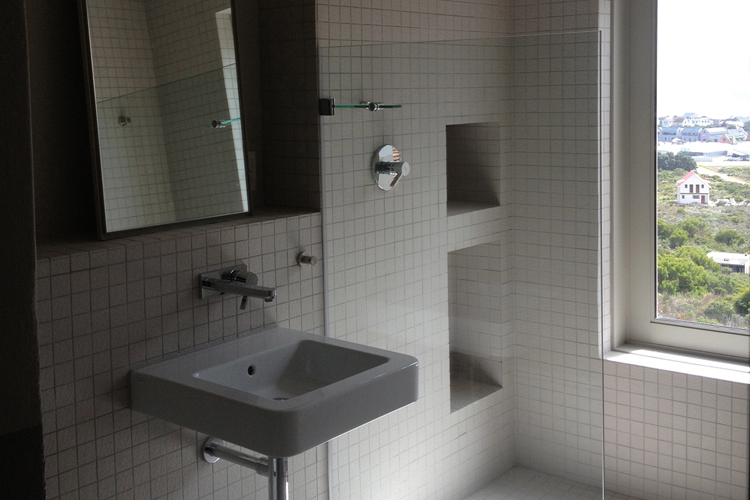 I would have no hesitation to recommend team Quali-Projects to prospective customers. 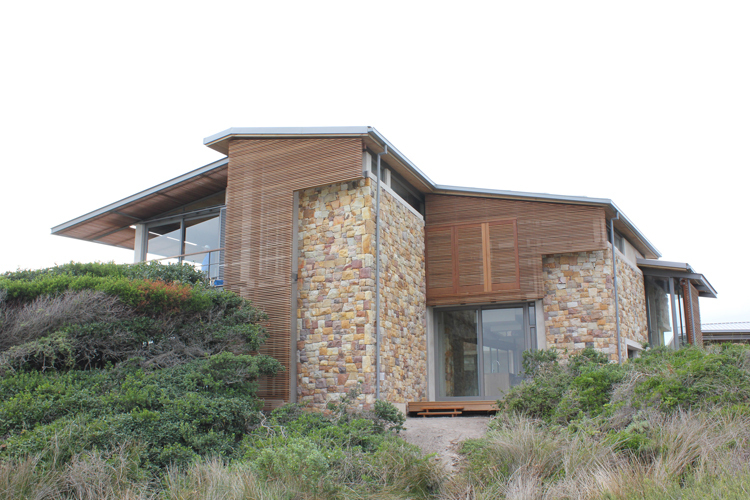 Therese and our architect Robyn Connors were brilliant. 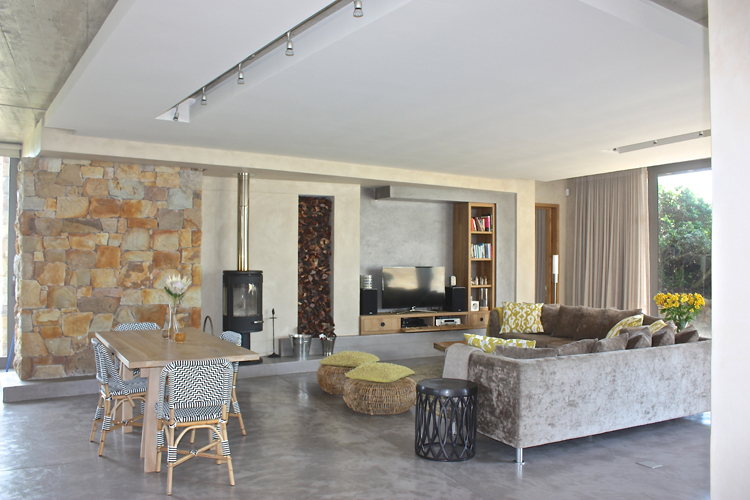 The project was completed on time and we are delighted with the end product. 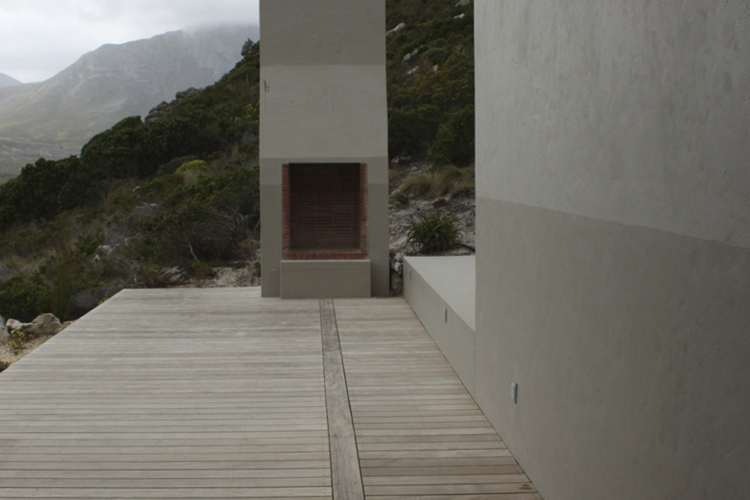 It exceeded our expectations. 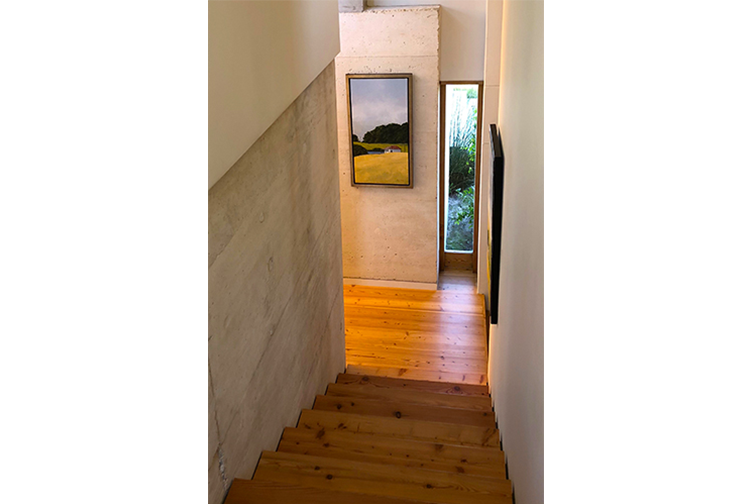 I have no hesitation in recommending Quali-Projects and Robyn Connors Architects and would use them again on any future project. 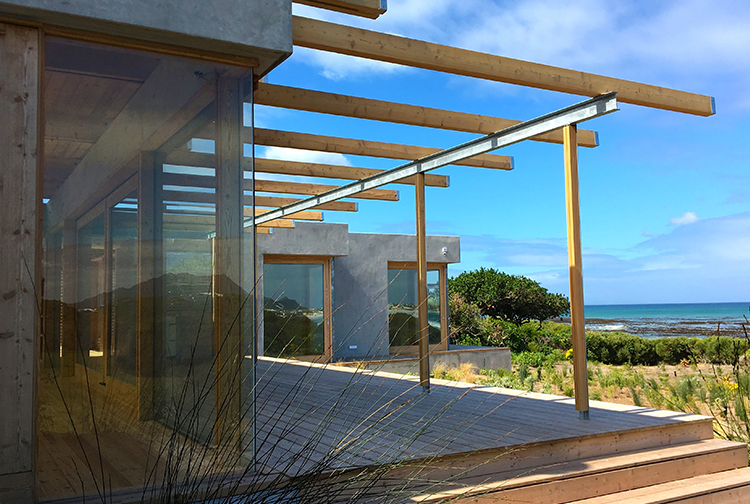 A new residence positioned on a private beach on Seafarm private nature reserve. 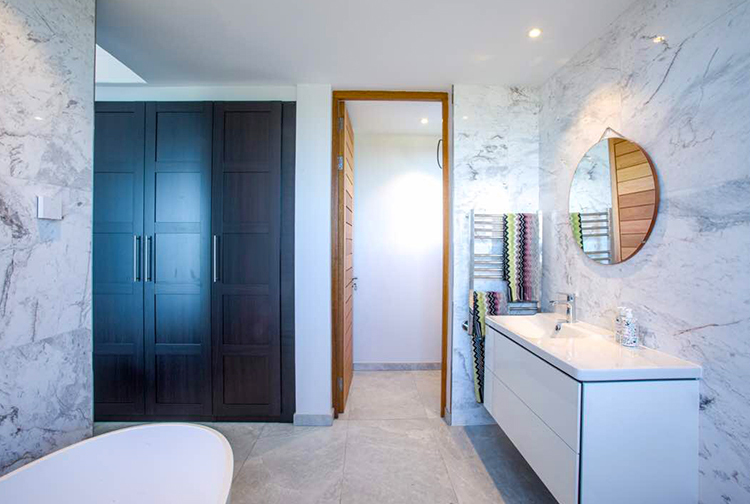 This modern, lock-up-and-go home was designed as a summer home for a young Swedish family. 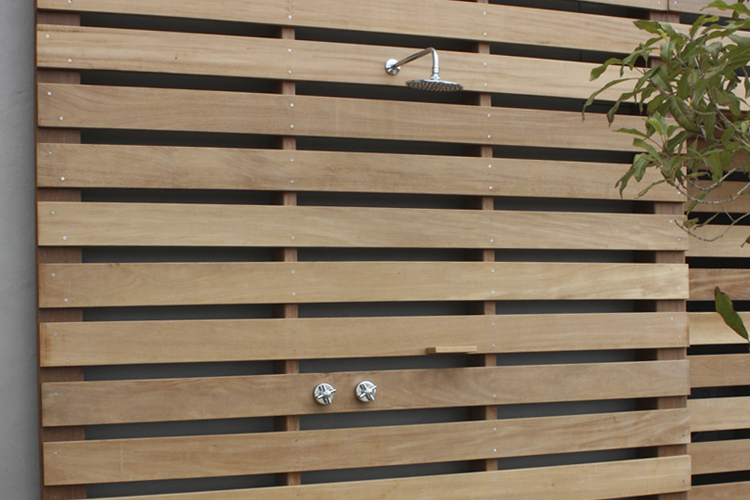 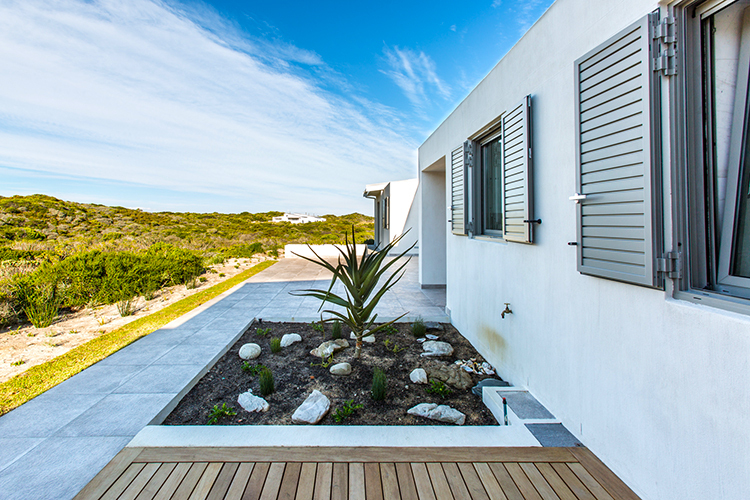 Top of the range aluminium security shutters, doors and windows open up onto the coastal garden and allow in lots of light and fresh salt air. 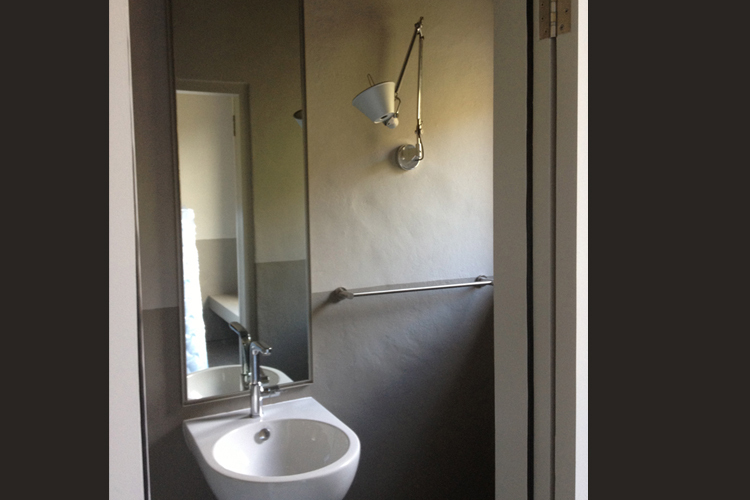 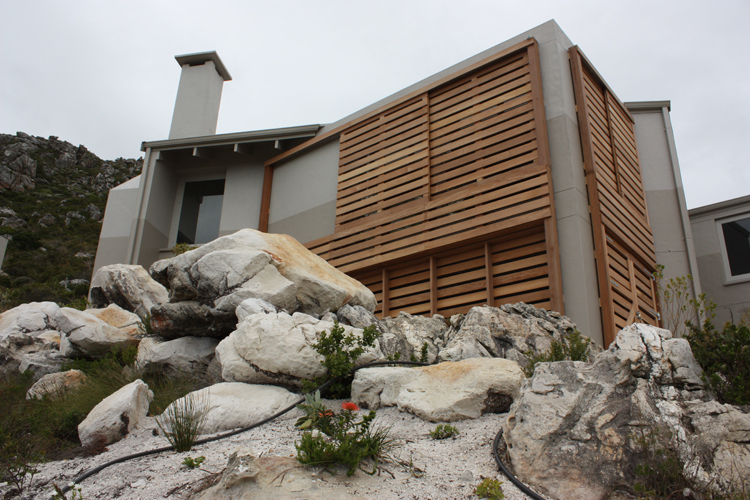 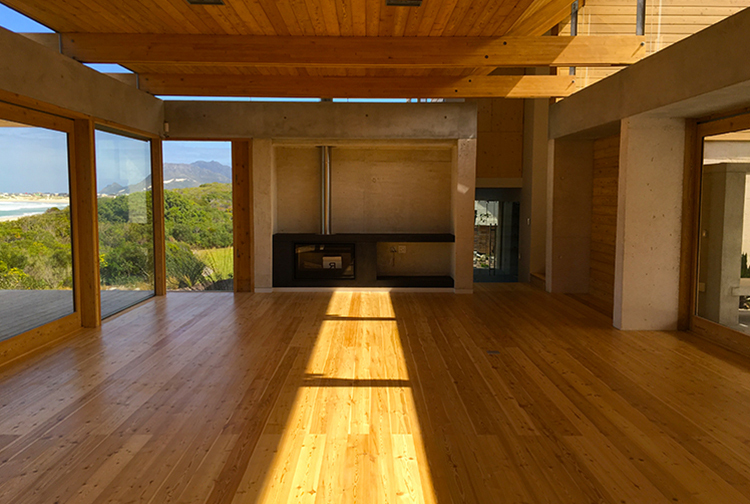 We worked with Quali-Projects on our house in Western Cape. 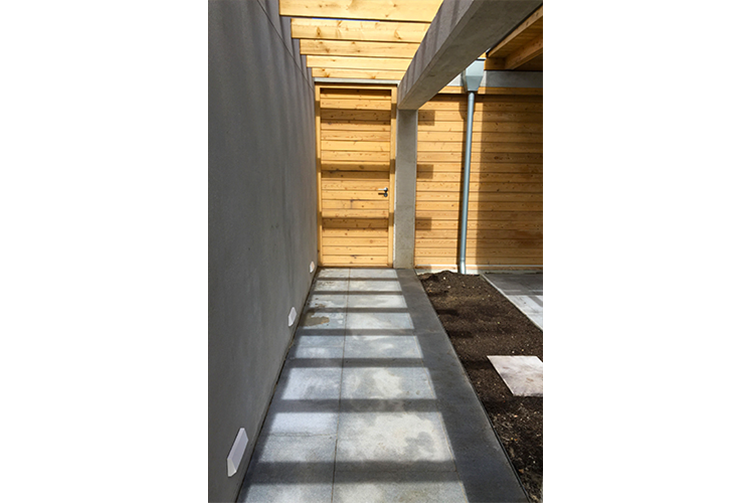 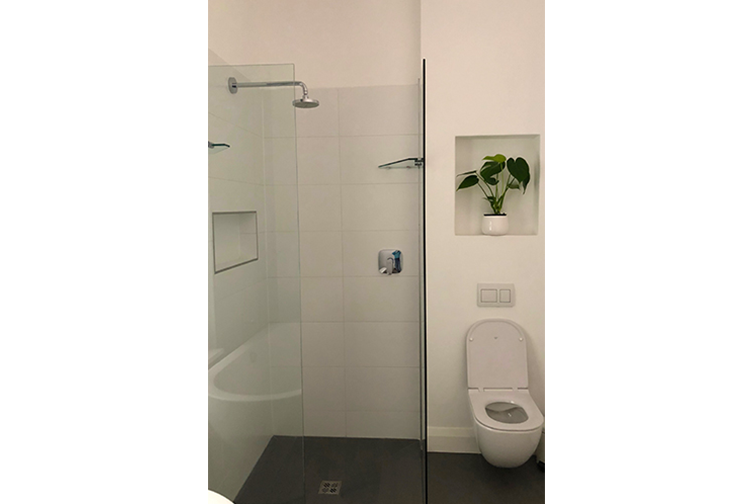 The house is situated in an area with many requirements, Quali-projects guided us through every step of the process and we felt that all our needs were listened to during the construction. 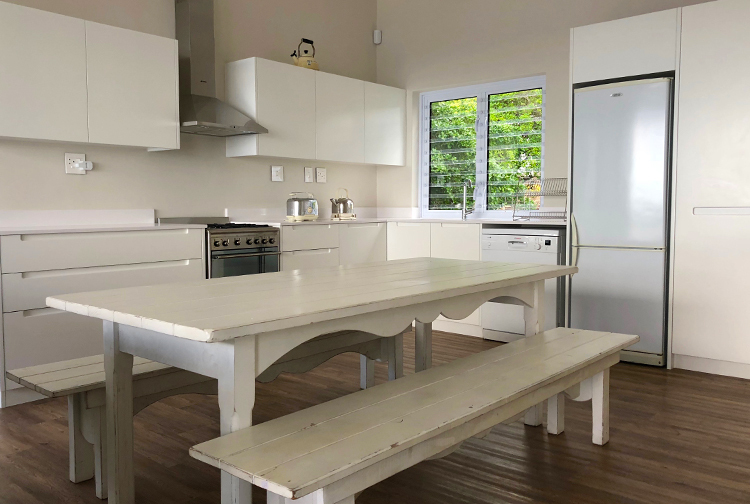 We have kept contact after and they have come to do touch ups when needed, would gladly recommend Martin and Therese and Quali-Projects to anyone. 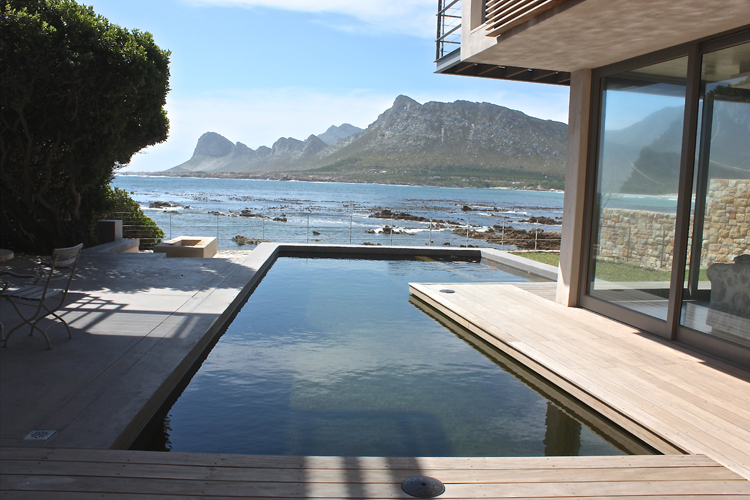 I really felt they love what they do! 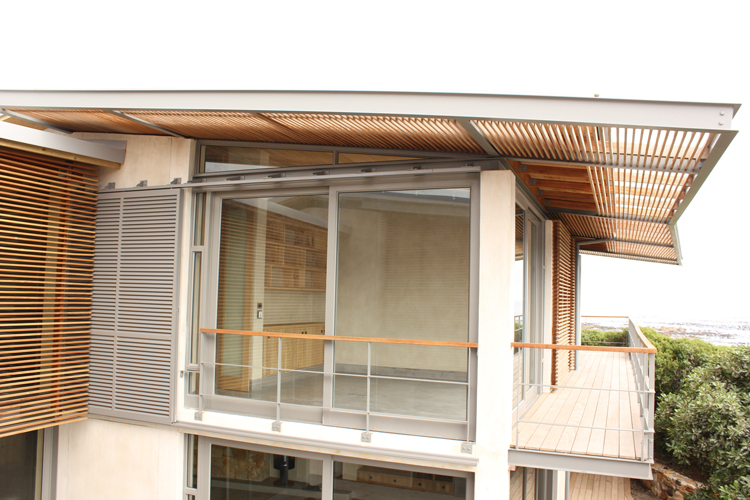 Creative, modern solutions to a great value! 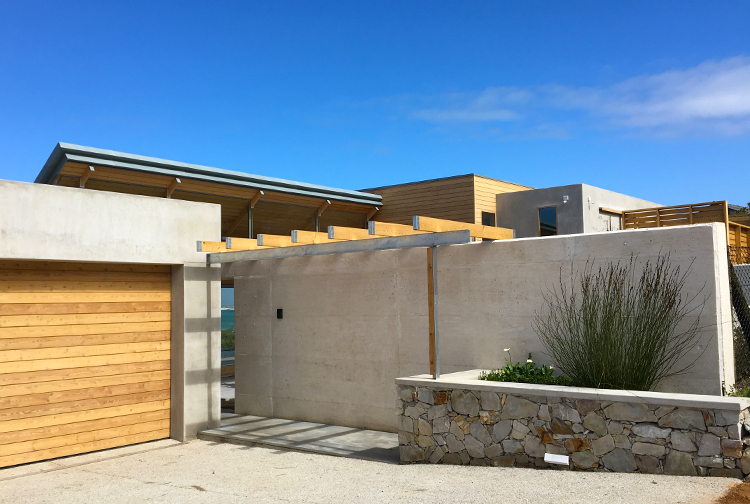 The professional team on the new house completed in May 2015 were unanimous in their praise of Martin Helmbold and his team. 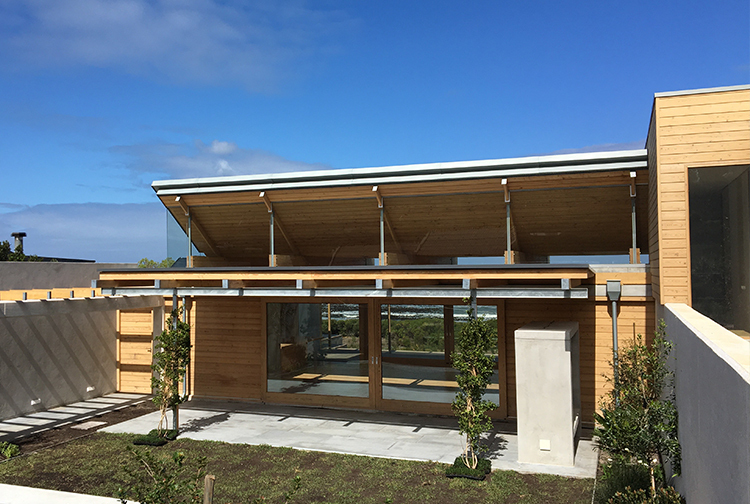 The building was completed on time and within budget. 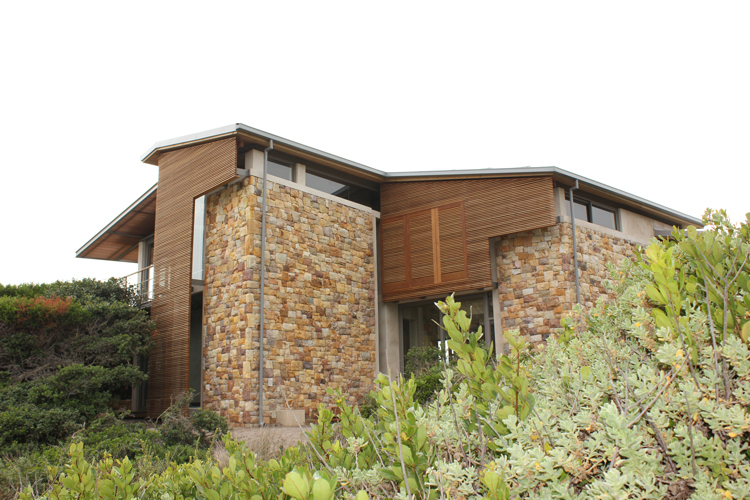 Design and technical complexities were tackled with conviction and with a shared pursuit of excellence. 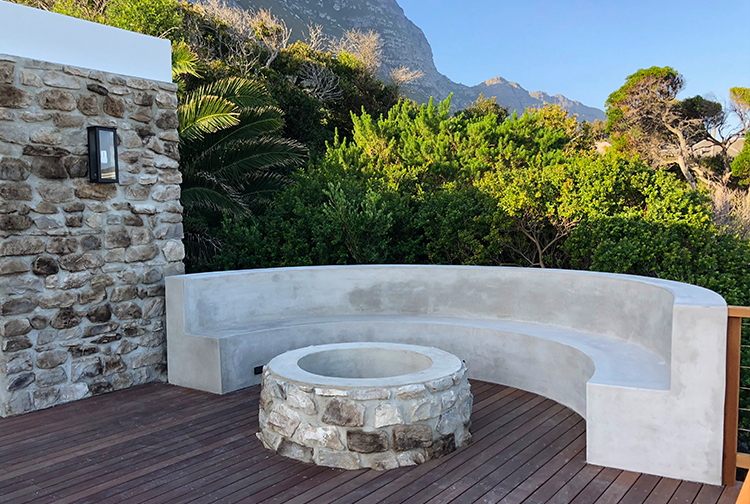 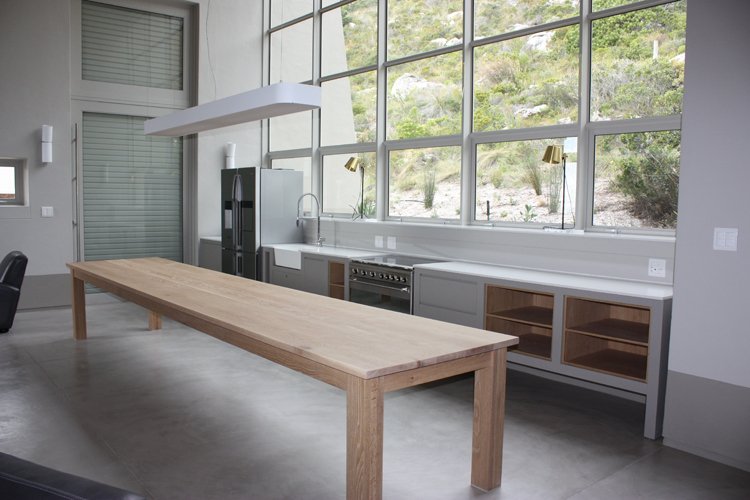 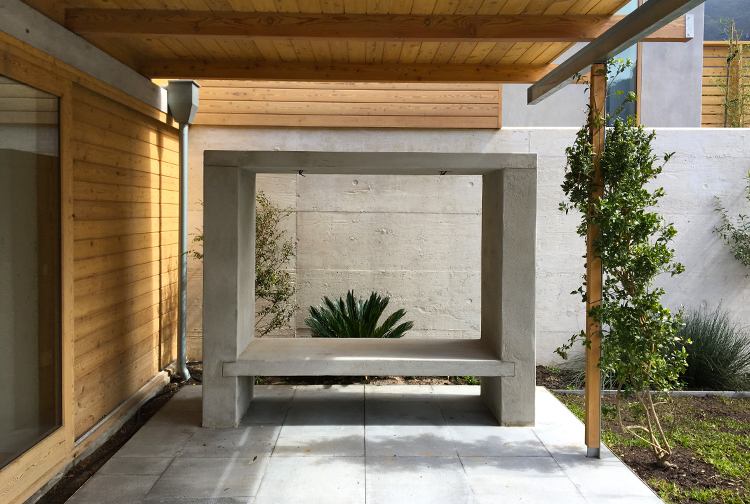 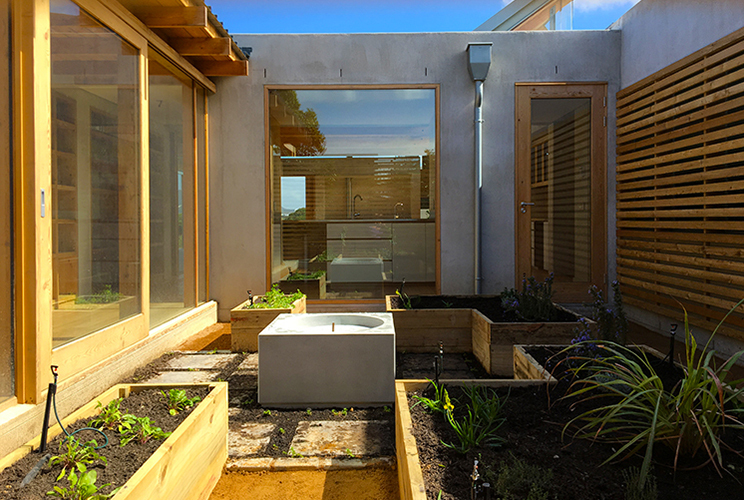 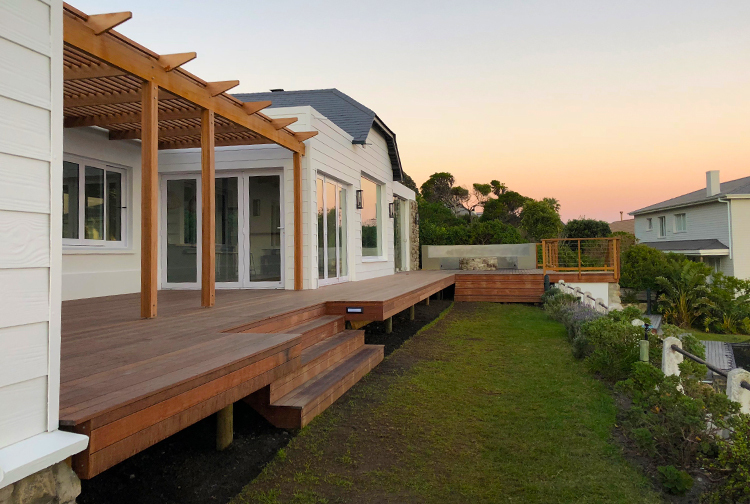 "We chose Martin and Therese Helmbold of Quali-projects to do the building and we were happy to later learn that Therese is a landscape designer whose passion is fynbos rehabilitation." 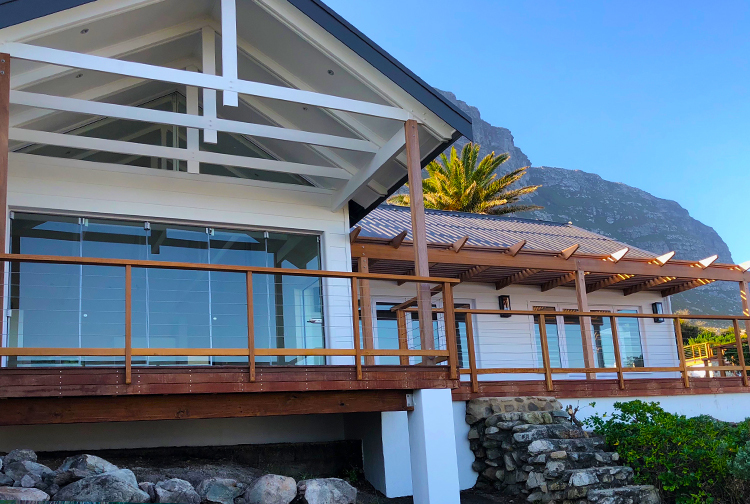 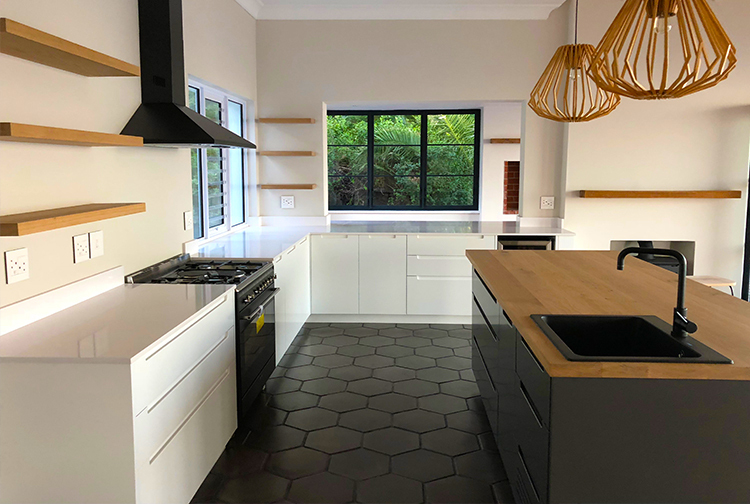 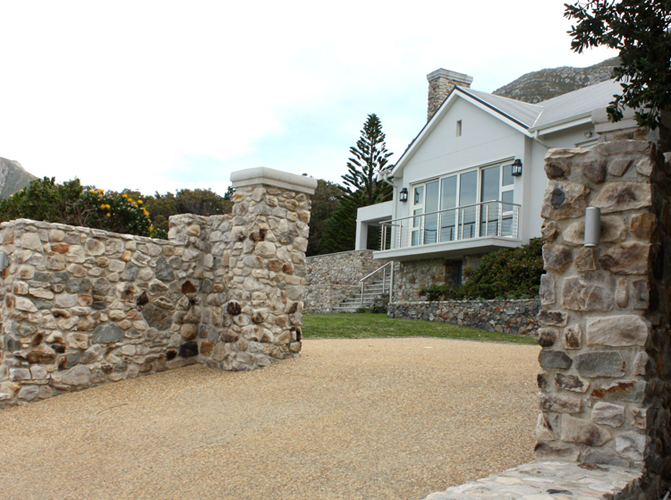 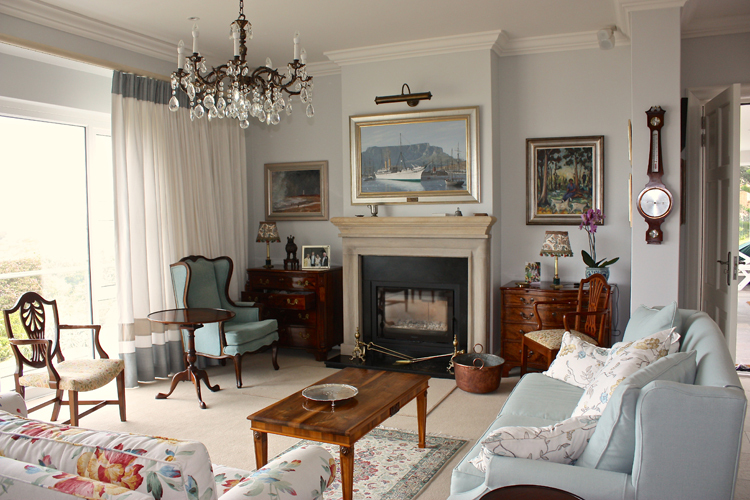 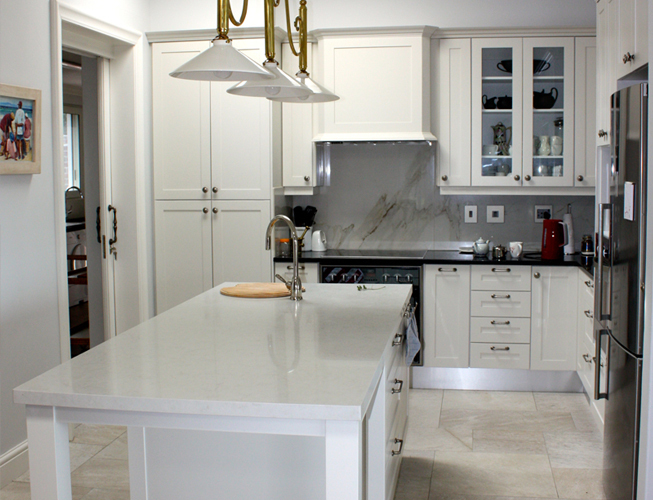 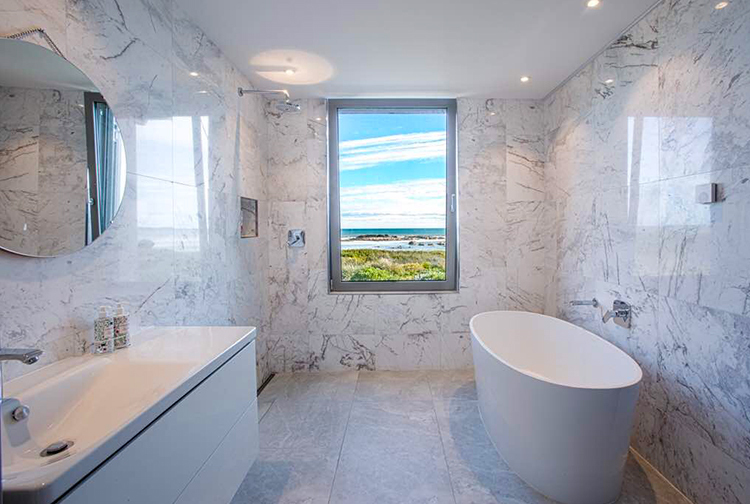 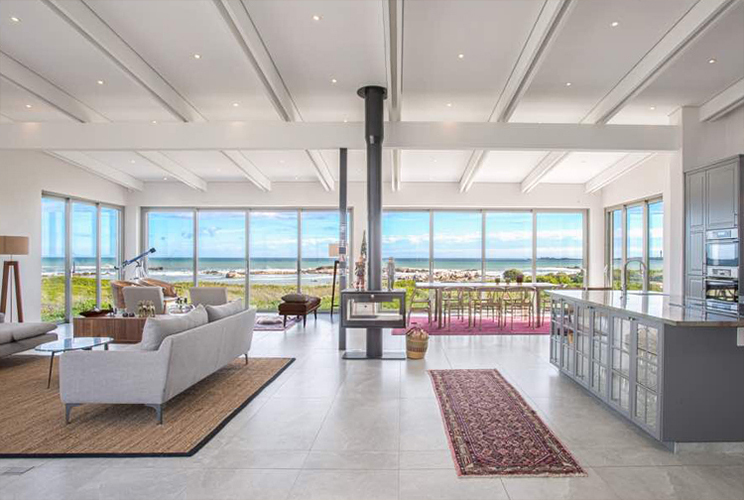 Located on the rocky shores, this home was in need of a renovation which encompassed a complete re-organisation of the internal spaces, additional accommodation and new services and finishes throughout. 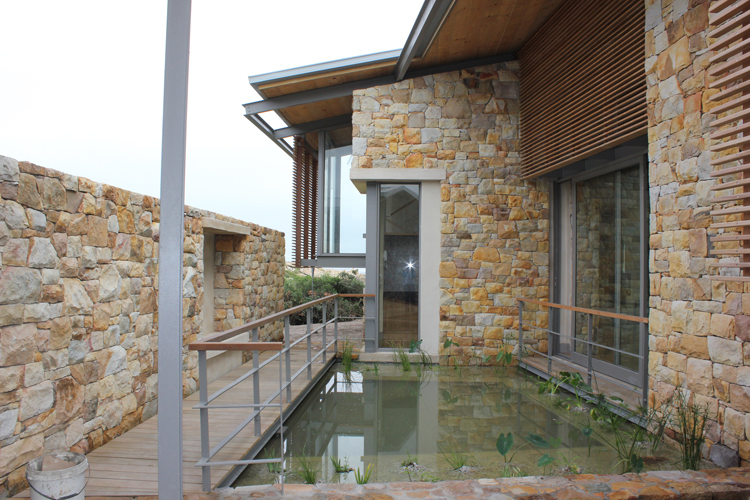 All the doors and windows were replaced and a swimming pool was added. 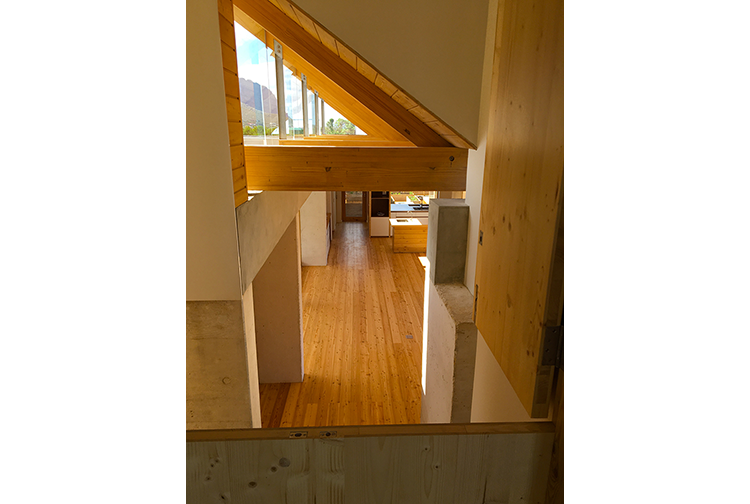 Cal and I are both very happy with the house and would definitely recommend QualiProjects. 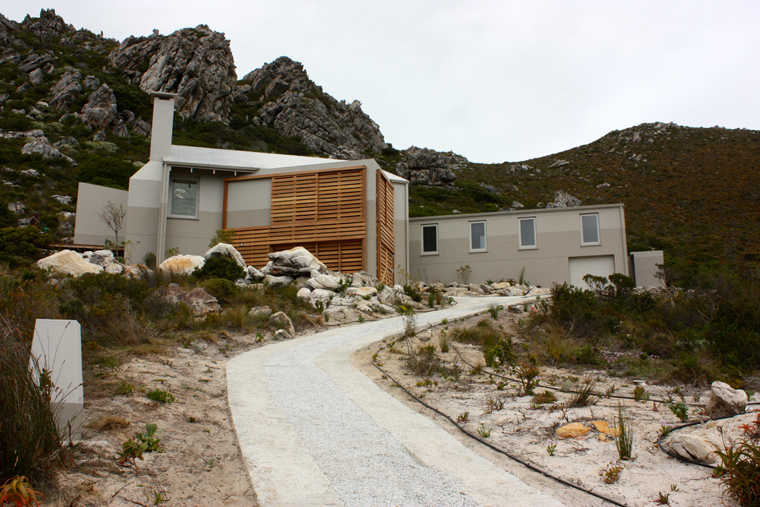 Thank you for all your hard work and patience to finalise the project. 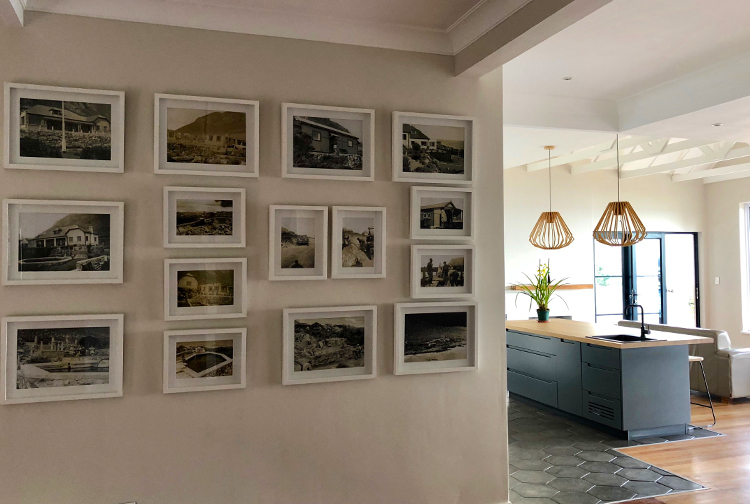 Most of this historical family home was demolished although the footprint of the original house remained roughly the same. 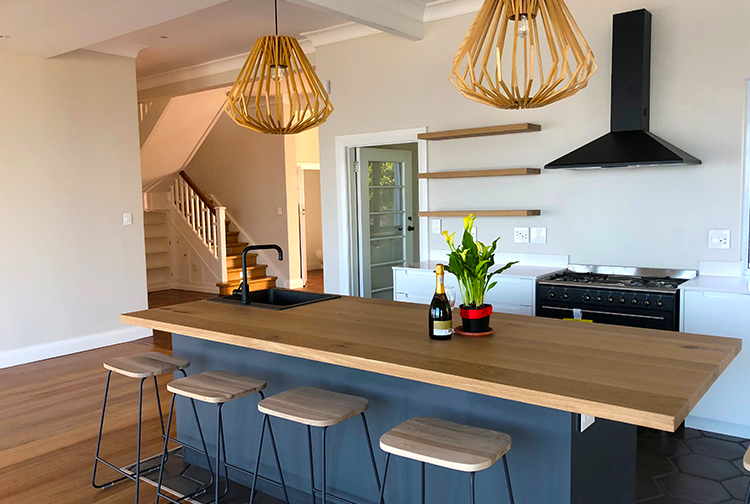 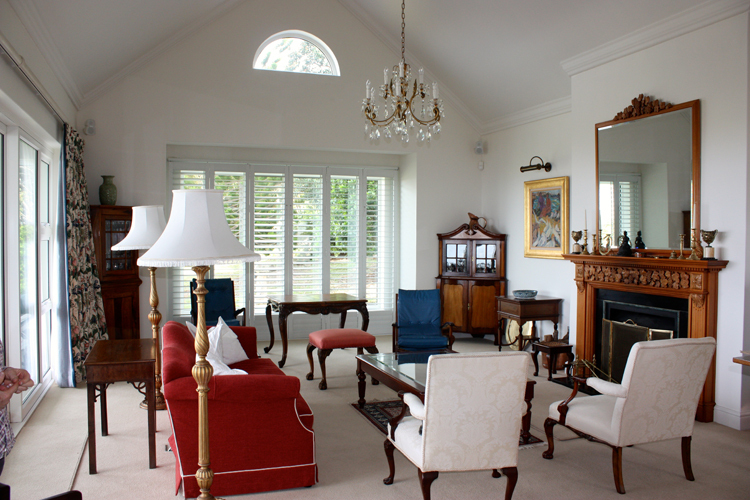 The house was completely remodelled and included many modern safety and security features, while also including the more traditional fittings and finishes that would compliment their antique furniture. 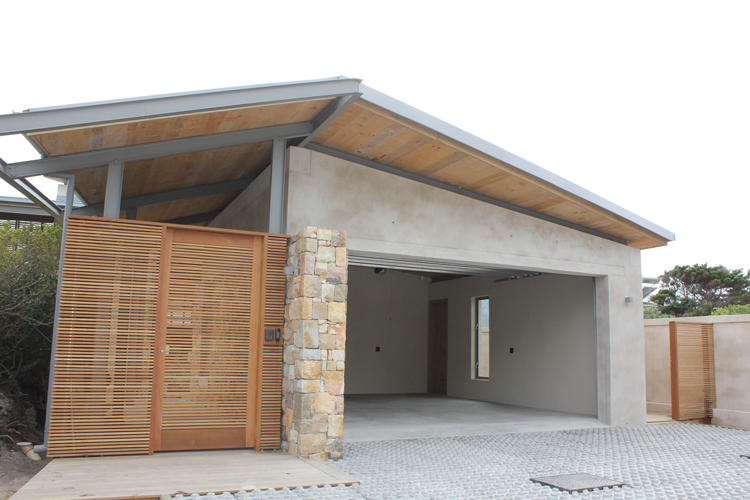 ....... for all the care and diligence you have displayed in building for us a very beautiful home. 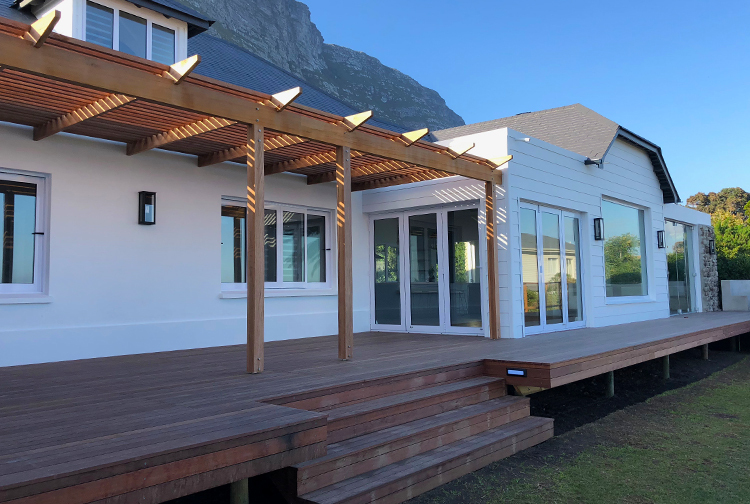 We count ourselves blessed indeed to have had you as our builders and it has been a sheer pleasure in working through every step of the process. 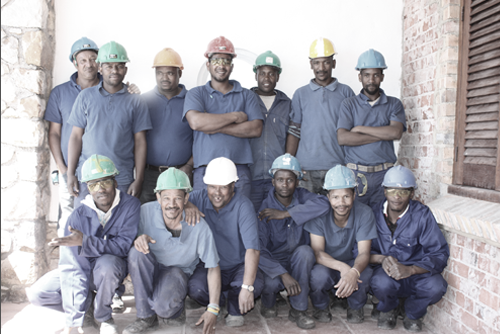 We have two senior, and two junior foremen who oversee several bricklayers and a crew of full-time general workers. 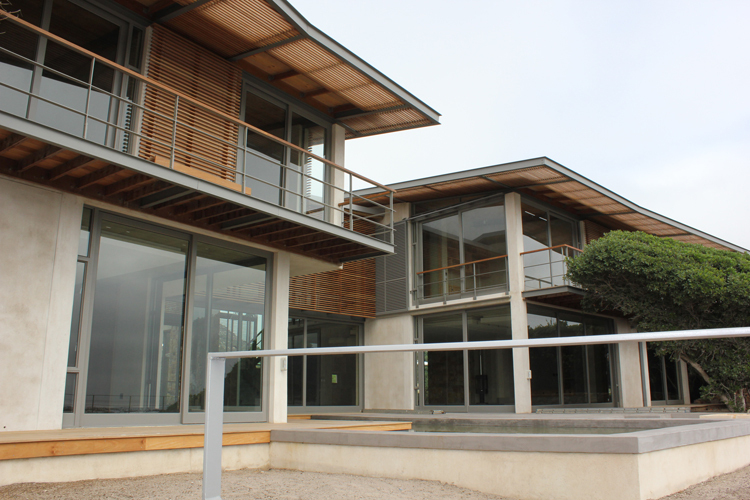 Through the BIBC, we make monthly contributions (on behalf of our staff) towards a retirement fund. 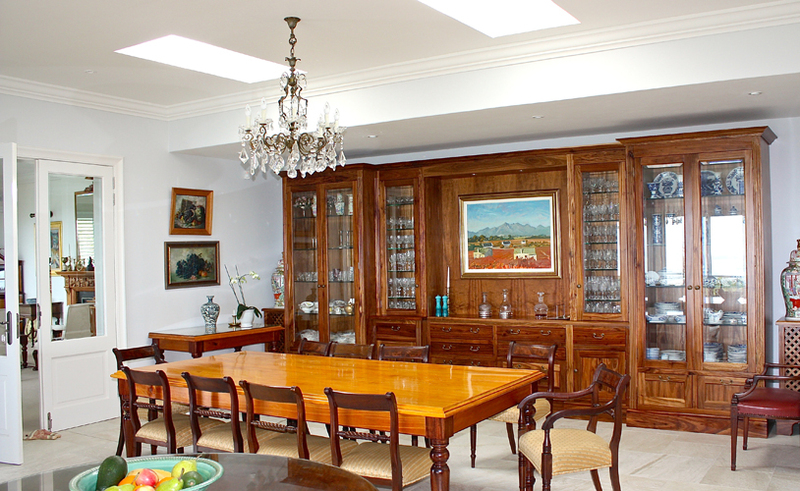 The finishing foreman has a crew consisting of several multi-skilled artisans and a team of painters. 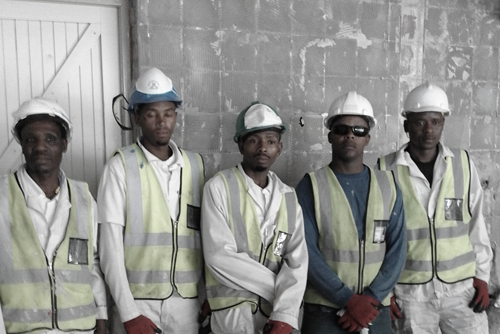 We ensure that every staff member is issued with all the necessary personal safely equipment. 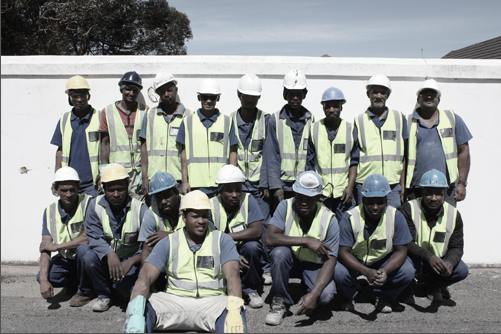 Several members of staffhave been trained and up-skilledas HSSE officers, scaffold erectors and First Aiders.